A REIA? What the heck is a REIA? What is a REIA? I previously wrote about how to break into real estate investing, and some of you had questions about how a REIA works, so it's a question I heard a couple of times. Let's dive right into it! Wholesaling Houses: What's the deal? As an Appleton-area Realtor, real estate investor, real estate coach, and founder of the Appleton REIA (Real Estate Investor's Association), I answer tons of questions about a myriad of topics relating to investing. And one of the most common is: "Should I get into wholesaling homes, or should I start flipping?" Flipping Houses: How does it work? 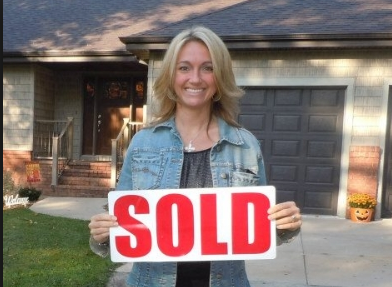 IN APPLETON, GREEN BAY, THE FOX VALLEY, OR IN ANY AREA OF THE U.S., YOU CAN MAKE MONEY "FLIPPING" HOUSES. Good. Now that we've gotten that out of the way the fact that you "can" make money flipping houses in this day and age, let's talk about how it actually works. As a realtor, real estate investor, and real estate coach, I meet a lot of people. And frankly, I've learned to embrace that as a blessing, because it opens each and every day up to a new possibility!